Some artists work with paints. Others, clay. 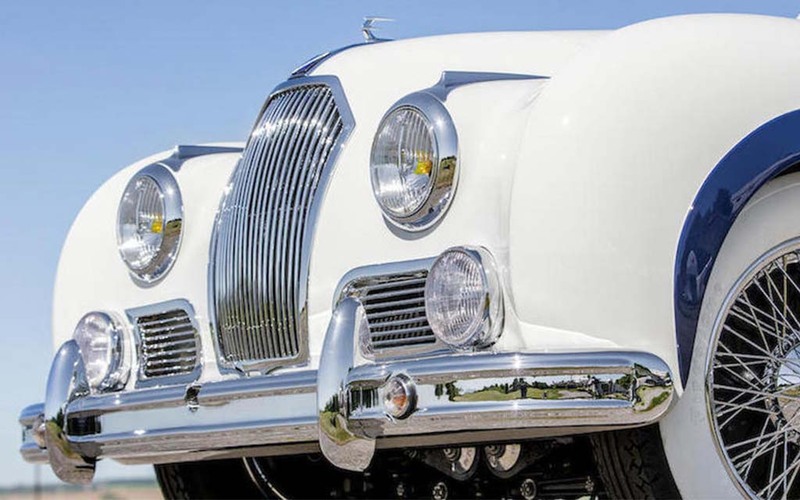 French coachbuilder (also called a carrosseries) Jacques Saoutchik was an artist who worked with steel — and the one-off 1948 Talbot-Lago T26 Record Sport is his masterpiece. Now that it will be crossing the block at Bonham’s Quail Lodge auction this month, it could be yours — provided you’ve got $1.2 to $1.6 million kicking around in your couch cushions. Saoutchik, a Ukrainian cabinetmaker who moved to Paris in the early 1900s to learn the craft of coachbuilding and start his own company, began building out the body of T26 chassis No. 100238 two years before the car was introduced at the 1950 Paris Salon. The star of Saoutchik’s stand as well as the show overall, the T26 drew the attention of French President Vincent Auriol and captured the event’s highest honor, Le Grand Prix du Salon. Attendees at the Salon were impressed by the curls and curves of the coupé de ville and the design of its roof, which was fixed metal above the passengers but could be opened above the chauffeur’s – or regular driver’s – seat via a pull-out roof stored in the Talbot’s rear. 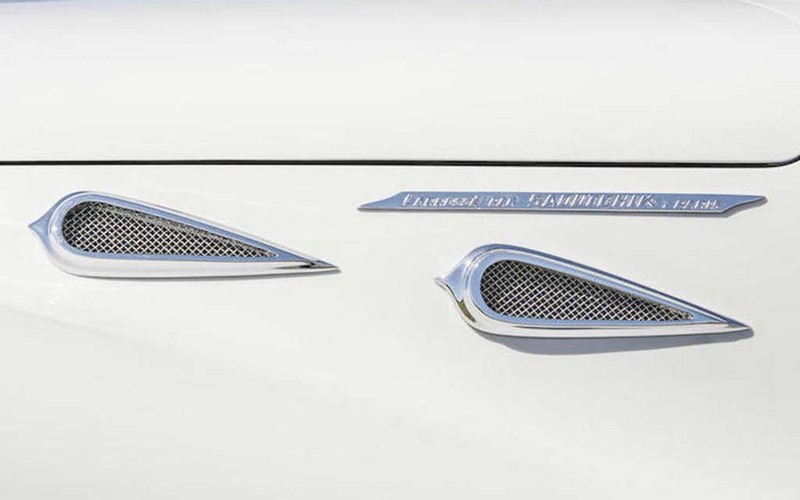 On the front of the car, the Talbot’s three-piece grille was typical Saoutchik. Featuring a large vertical grille flanked by smaller, horizontal grilles and headlights to either side, the front of the car blended in seamlessly with the flowing fender work for a refined and artistic look. Riding on chromed 18-inch wire wheels mounted with wide whitewall tires, the car was originally decked out in light grey with some dark blue work along the underbody and the windowsills to provide contrast and enhance the car’s curves. Still, despite the high-profile debut and the president’s interest, Saoutchik had a difficult time selling this particular piece of automotive art deco at the show or immediately afterward. After using the vehicle in ads and fashion shoots following the Salon and being shown at the Concours at the Grande Cascade in the Bois de Boulogne, the car was eventually bought at a steep discount (1.7 million francs) by Madame Bozdogan-Brawand of Switzerland in 1951. From there, it’s not entirely clear what happened to chassis No. 100238 but it eventually found its way to backyard in Catonsville, Maryland, in 1981. Perhaps not realizing what he had, the owner had been keeping the car – which still had its engine, Saoutchik bodywork, and interior intact – uncovered in his yard since it stopped running. 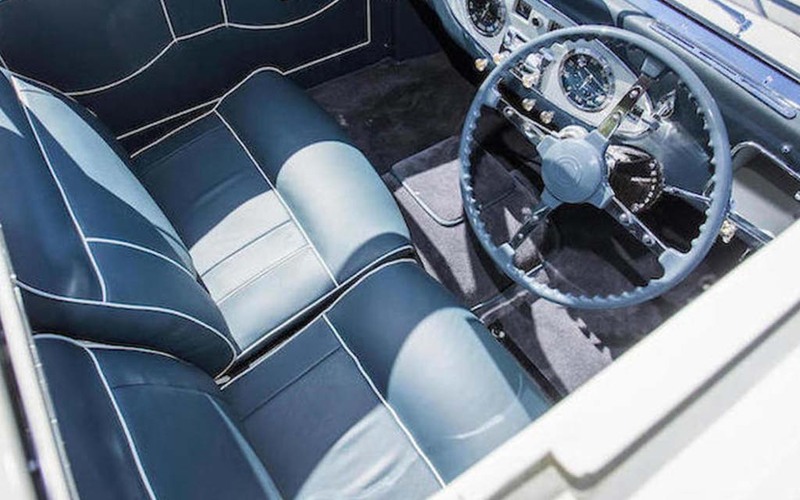 The owner sold the car to a Talbot enthusiast and it changed hands several more times before winding up with its current owner in 2014 and undergoing a Concours-level restoration. During that process, the car’s mechanical components were taken apart and put back together, its engine and transmission and other parts were rebuilt, and the body was repaired using as much of the original wood and metal as possible. Overall, it took thousands of hours of work. Looking at the car now, Saoutchik’s design language is still plain as day. It’s easy to see why it was such a hit at the Salon nearly 70 years ago. To register to bid prior to the August 24 auction, download this packet from Bonhams.